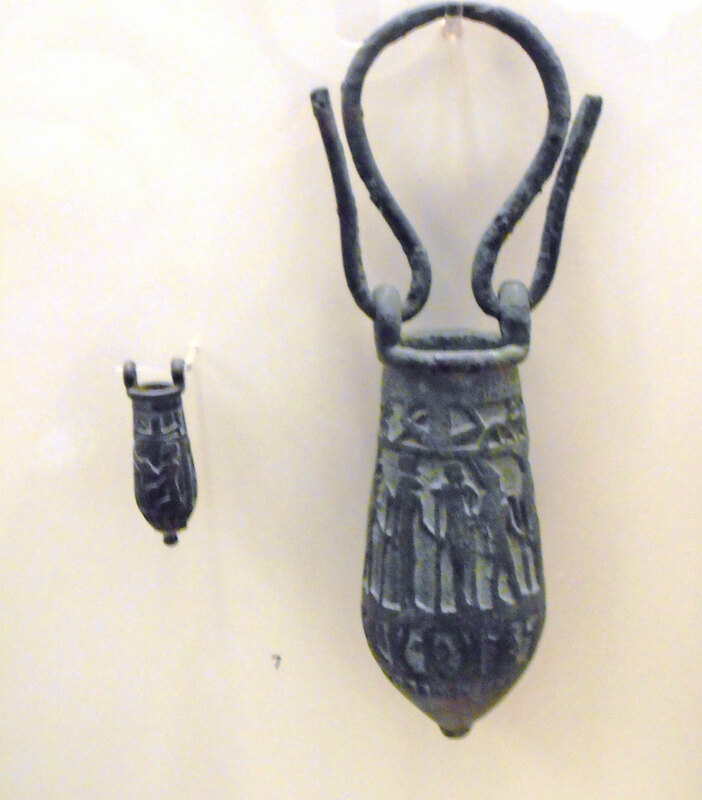 Two bronze vessels in the shape of kados, decorated with religious themes in relief. Size and decoration reflect a votive purpose. Egypt, now on display in Athens’ National Archaeological Museum.